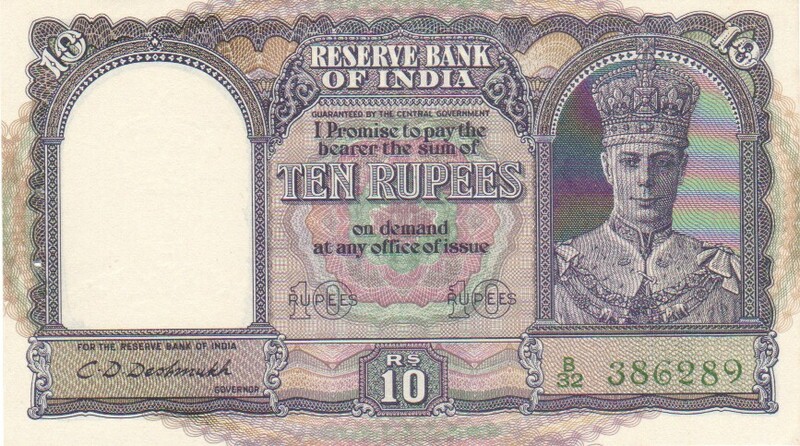 Many Indian notes were originally stapled in blocks of 100 pieces and thus have staple holes. This is indicated by the letters "s.h." 18a 5 Rupees (1937) aUNC £105.00 s.h. 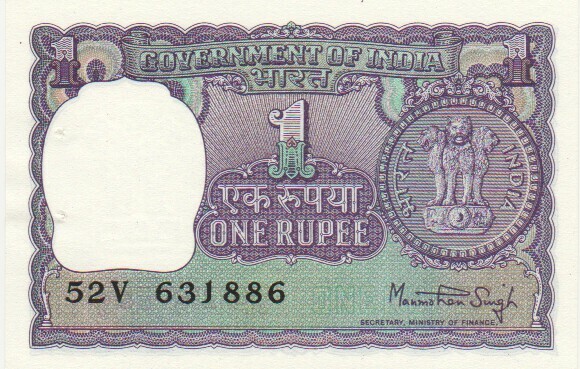 18a 5 Rupees (1937) aEF £80.00 s.h. 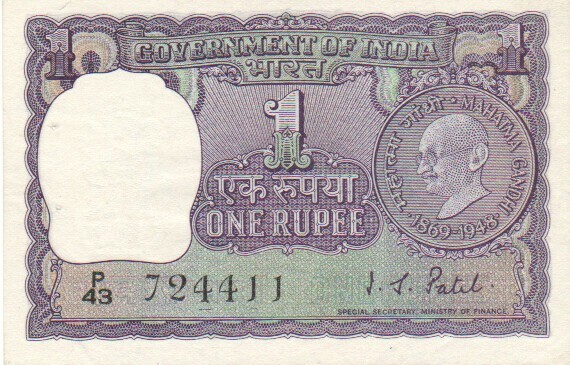 18a 5 Rupees (1937) VF+ £70.00 s.h. 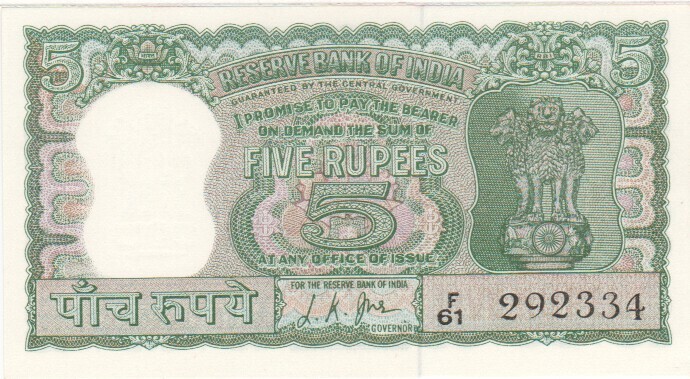 18a 5 Rupees (1937) F £35.00 s.h. 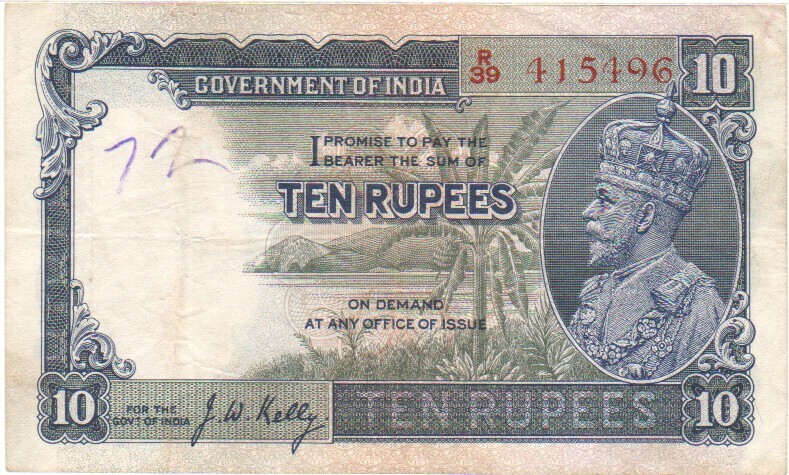 19a 10 Rupees (1937) F+ £65.00 s.h. 25a 1 Rupee 1940 EF £26.00 s.h. 24 10 Rupees (1943) VF+/aEF £45.00 s.h. 24 10 Rupees (1943) VF £35.00 s.h. 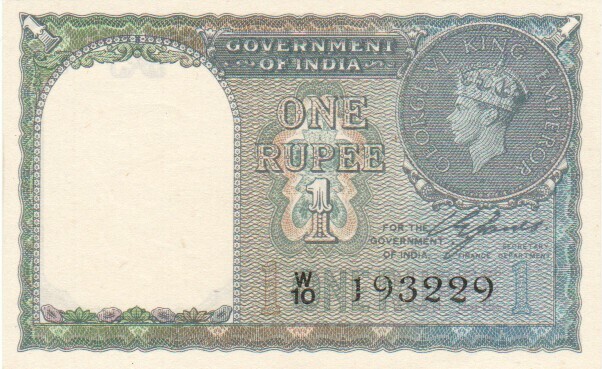 31 2 Rupees (1962-67) UNC £14.00 s.h. 31 2 Rupees (1962-67) aUNC £10.00 s.h. 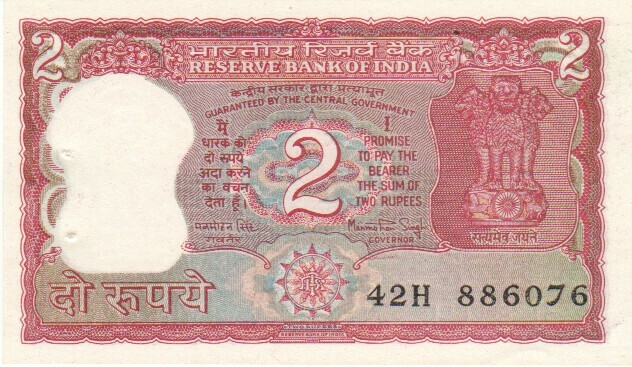 51b 2 Rupees (1967-70) UNC £7.00 s.h. 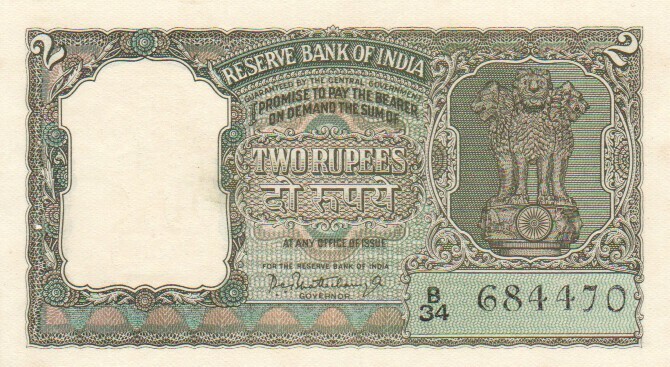 53e 2 Rupees (1977-82) UNC £3.00 s.h. 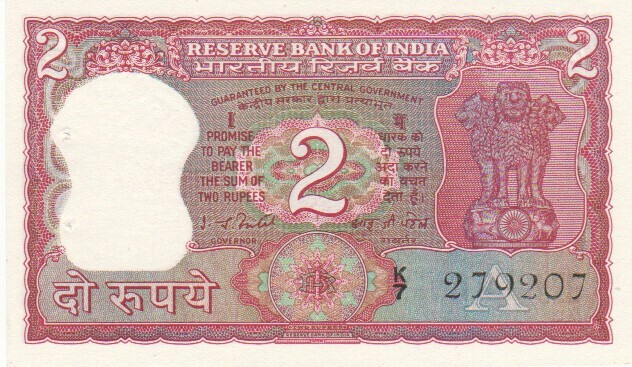 53Aa 2 Rupees (1981-83) UNC £2.50 s.h. 53Ac 2 Rupees ND UNC £2.50 s.h. 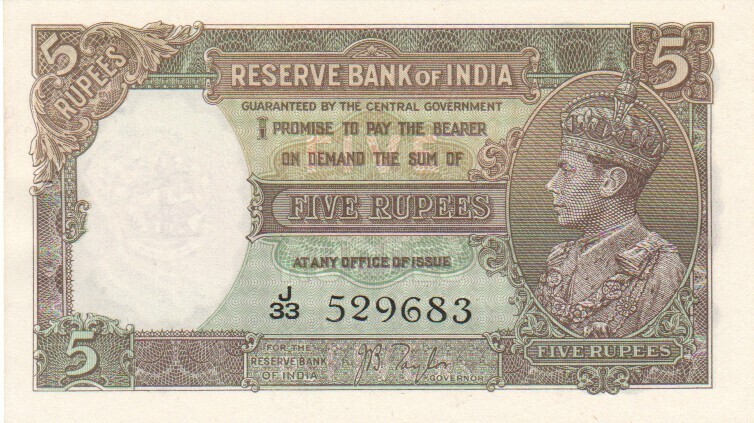 53Ae 2 Rupees ND UNC £2.50 s.h. 54b 5 Rupees ND UNC £20.00 s.h. 55 5 Rupees ND UNC £10.00 s.h. 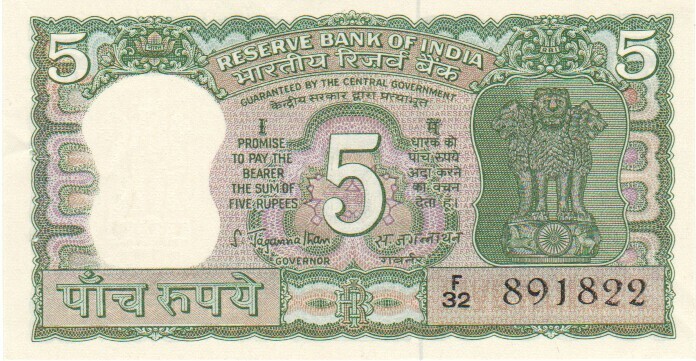 56a 5 Rupees ND UNC £8.00 s.h. 57b 10 Rupees ND UNC £8.00 s.h. 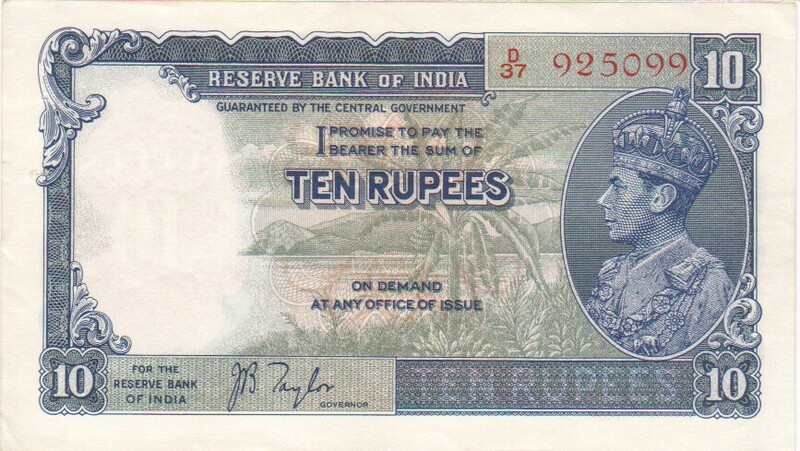 60Ab 10 Rupees (1970-75) UNC £8.00 s.h. 60g 10 Rupees ND UNC £4.00 s.h. 60i 10 Rupees ND aUNC £4.00 s.h. 60Ab 10 Rupees ND UNC £4.00 s.h. 63 100 Rupees ND UNC £28.00 s.h. 64c 100 Rupees ND UNC £28.00 s.h. Centennial of birth of Gandhi, commemorative issue. 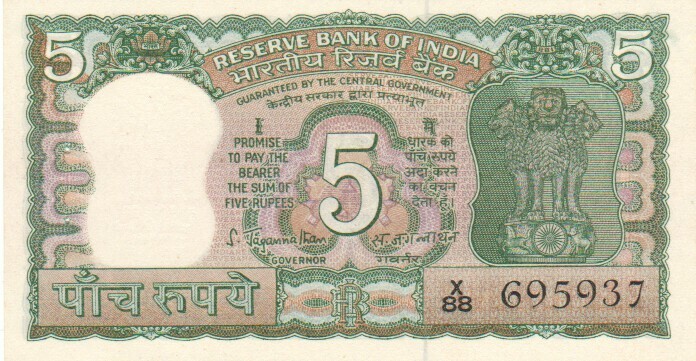 66 1 Rupee UNC £4.00 s.h. 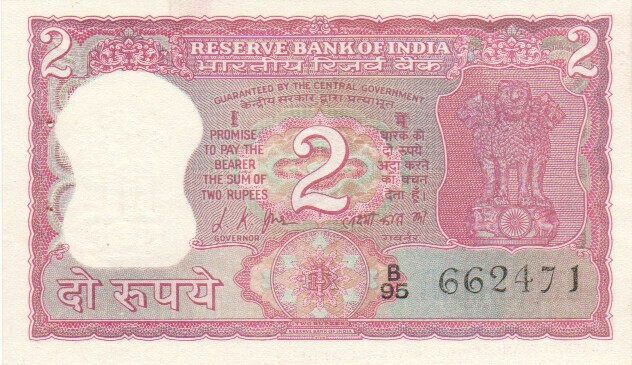 67a 2 Rupees (1969-70) UNC £6.00 s.h. 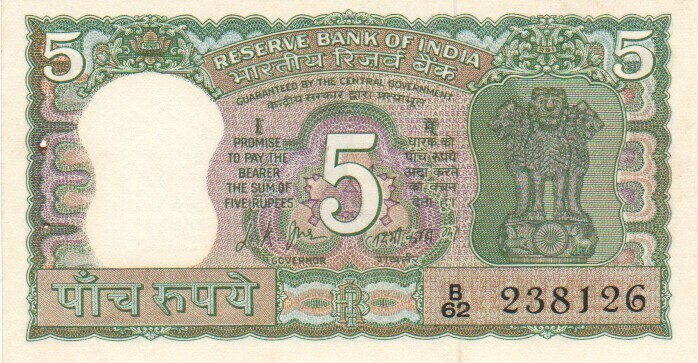 68a 5 Rupees (1969-70) UNC £9.00 s.h. 68b 5 Rupees (1969-70) UNC £12.00 s.h. 69b 10 Rupees (1969-70) UNC £12.00 s.h. 77d 1 Rupee 1968 aUNC £3.00 s.h. 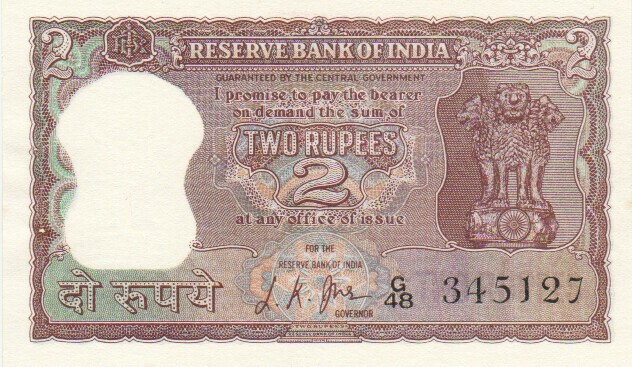 77L 1 Rupee 1973 UNC £2.00 s.h. 77n 1 Rupee 1974 UNC £3.50 s.h. 77u 1 Rupee 1977 UNC £3.00 s.a.
77v 1 Rupee 1978 UNC £2.00 s.h. 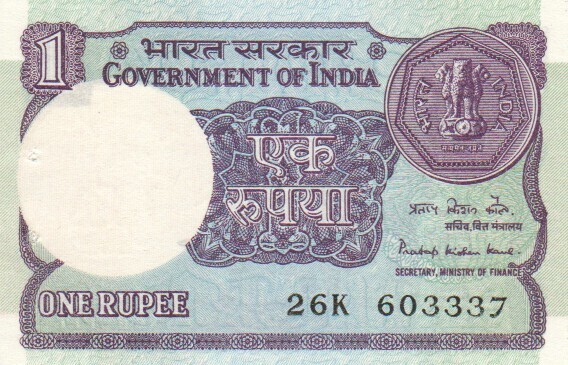 78a 1 Rupee 1981 UNC £2.00 s.h. 78Ac 1 Rupee 1986 UNC £0.80 s.h. 78Ac 1 Rupee 1987 UNC £0.80 s.h. 78Ac 1 Rupee 1988 UNC £0.80 s.h. 78Ae 1 Rupee 1990 UNC £1.20 s.h. 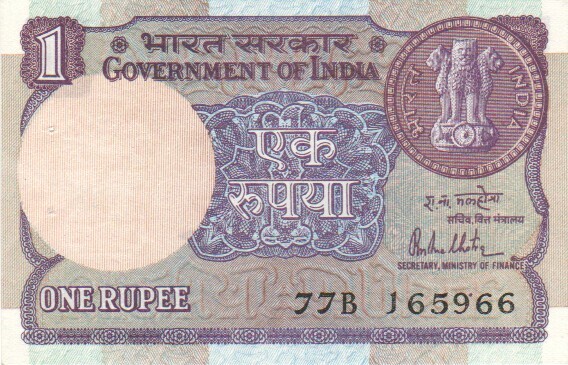 78Af 1 Rupee 1991 UNC £1.50 s.h. 78Aj 1 Rupee 1994 UNC £1.50 s.h.